Kaylin (a KES student) and her mom dropped by to deliver prune mui. They live just down the street. That was super nice of them! 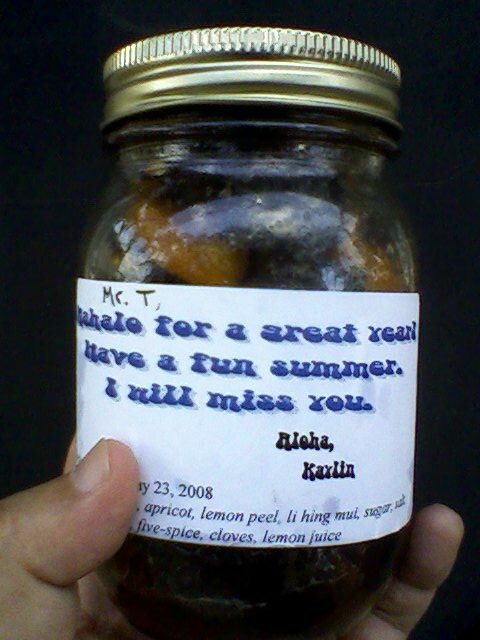 They also asked me to deliver a 2nd jar to a teacher at school for them. Hmm…. I hope I don’t eat all of it by mistake….